With the official start of autumn, I thought I would take some time to write to all my followers to let them know what is going on with me. 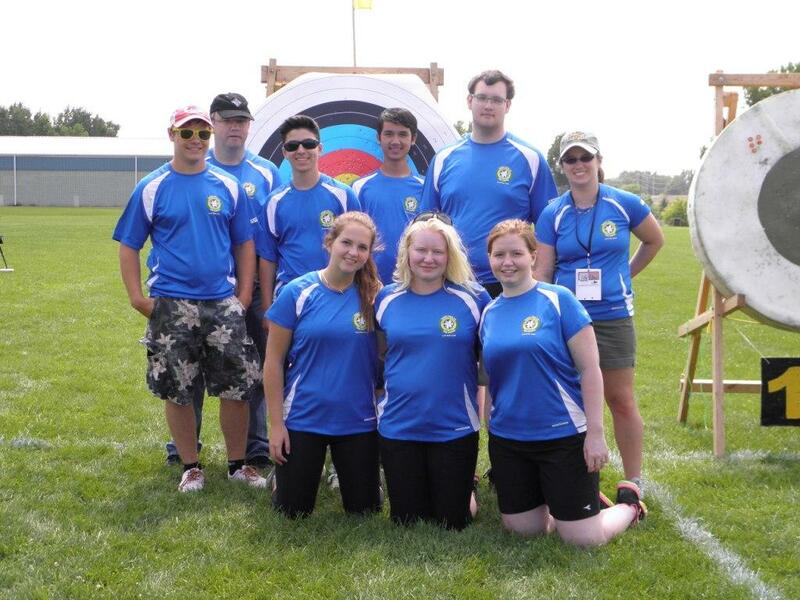 A quick recap, August 7th – 10th was the Ontario Summer Games , which was held in Windsor Ontario. Since I am no longer eligible to compete at the Ontario Summer Games, because I have competed at the Canada Games, I decided to coach the Eastern Zone team. This year was supposed to be Niagara Falls but there was a change in plans and the city of Windsor was kind enough to take over. They did a very good job with such sort short notice. Being the coach at an event like this was a very different experience for me. At times I forgot that I was not shooting and other times various people forgot I was the coach. One great experience was coaching my little brother Joshua, at 14 years old, in a very competitive field in his very first summer games. 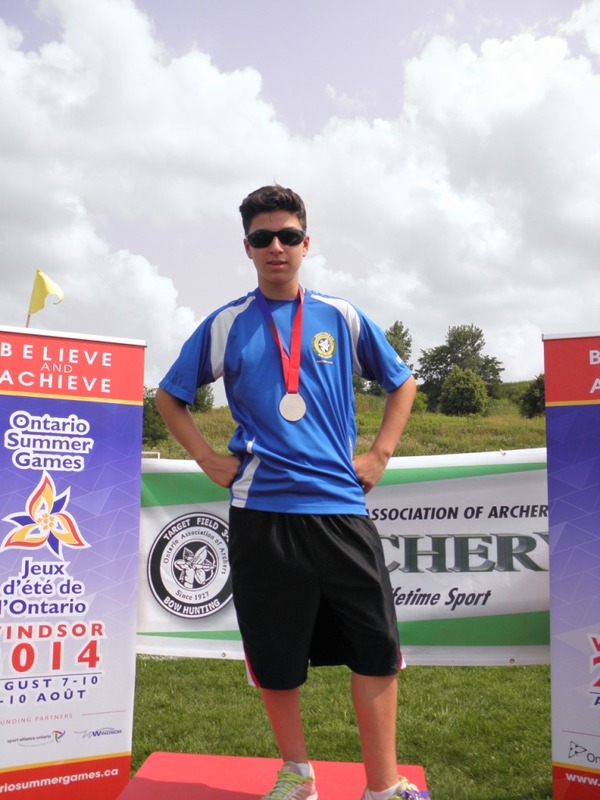 The other athletes seemed to tower over him and yet he was able to capture the Men’s cadet recurve silver medal. This year delivered the best results for the eastern zone archers since I have started participating, with almost half our athletes going home with medals. I would like to believe in some small way my coaching assisted our athletes, probably not since they are all amazing athletes without my help, but it is nice to think about. Recently, I had a couple of questions posted to my website and thought I would take time to answer them now…. My 3X10 arrows for 18M/40cm score is ~ 175 for a long time (both indoor and outdoor). I feel hard to improve the score/consistency. How can I make a breakthrough? I am a 12 years girl. Maybe I should buy more expensive arrows? Having had been 12 at one point of my archery life, I can understand the frustration you are feeling. Unfortunately, I don’t know a lot about your set up, or form, or even how much you practice. However, that being said this would be my advice to you. (Assuming form is fine) I would try to see if there is a better arrow spine that would work better for you and maybe try to see if you can increase your draw weight a little (do NOT jump too much if you can’t handle it). 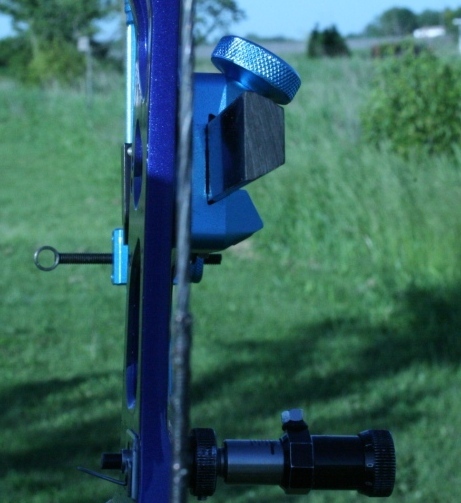 The draw weight should help you get some more speed off the arrow making it more forgiving. The arrow spine/type sounds like it could be the main issue, you may not have enough or you may have too much flexibility in your arrows for your draw weight so it is causing it to fly crazy. Keep in mind given your age you may have to change a lot because you are at a point in your life where your body is making a lot of changes too, like your height. Remember when you are making changes it is just like a science experiment, where you change only ONE factor at a time otherwise you don’t know if you are making it better or worse, and you won’t know what is causing it. Also make sure you remember where everything was before you make changes so that you can go back to it if worse comes to worse. How to avoid bow arm (and shoulder) drop right after release? My understanding is that the bow arm should be strong and straight, and only drop the bow hand (dog sit) with the help of sling. My bow is very heavy; I have a tendency not to hold the bow strong after release. Maybe my bow is too heavy. I also shoot very fast because of not to holding bow long enough. How can I overcome these bad habits? If you are finding it hard to hold the weight you have, then yes you should take off enough weight so that you can hold and control the bow. Periodically I take off the weight, so I can make sure I have the basics of archery correct. Don’t worry, practicing and training will allow you to reintroduce the weight back in no time whatsoever, but listen to your body first and foremost. It is important to stay strong and straight throughout the shot however remember not to be tense. When you see other archers “dropping” their wrist, this is result of the stabilizer when it moves with ease, out of your hand and swings itself down. 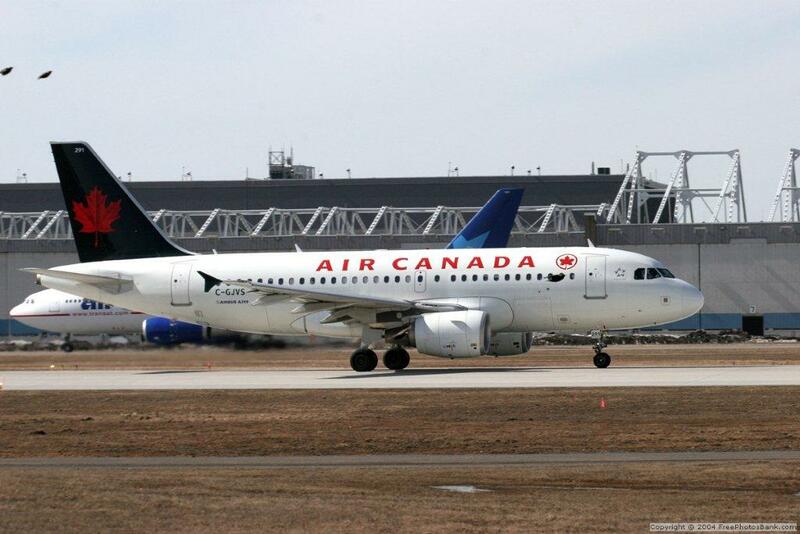 So it looks like your wrist is bending but it really isn’t, your wrist is just tagging along for the ride. Concerning shooting too fast, if you are finding you don’t have enough energy between shots as you practice or compete, you should practice waiting a little bit of time between shots. 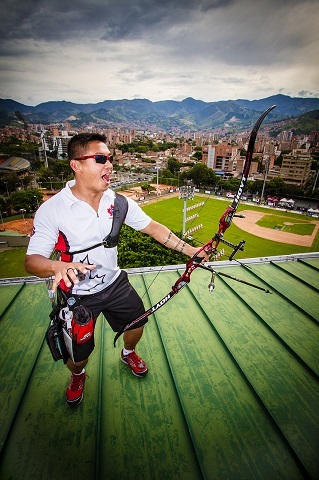 This is the 10th step in the 10 steps of archery. It is important to take your time as well as be fluid with your form, so that you are building up the power to shoot the shot. This summer was very nice, it was a much-needed break from the university grind and an opportunity to shoot, work and enjoy life. I’m kind of sad to see the summer ending and having to leave all my friends and family behind once more, but on the bright side I get to see all my new school friends again. This school year should be a lot of fun looking forward to it, and I’m really looking forward to diving deeper into my chosen field of study (Kinesiology) after completing most of my mandatory subjects. This year will be special as my younger sister has also chosen Redeemer University to study and I will always have someone around who gets me and is ready to give me a hug if I need it. She has chosen to study International Development in hopes that she can work for a NGO and change the world for the better. I know I should be blogging more however my first priority is university, and if there is time for anything else I will do it. Mastering archery requires skill, concentration and perseverance. It’s a sport that’s fun, but also allows participants of any age or skill level to compete against others or challenge themselves individually. The sport has long helped archers gain confidence and physical strength, but two Texas teachers have discovered archery also helps students with math. Mike Duncan and Raeann Melvin, who teach physical education at Nolanville Elementary School in Nolanville, Texas, started an archery class two years ago to help third- through fifth-grade students understand how to determine area and perimeter in geometry. Applying bowstring wax is part of regular maintenance and the main purpose is to help prolong the life of your string. It also helps keep the string together longer, maintain the number of twists in the string and protect the string from fraying and moisture. Usually manufactured strings are purchase pre-waxed and only need to be maintained. How often depends on the amount you shoot and the condition of the string. Often you can tell if your bowstring needs waxing as small “hairs” or “fuzz” appear on your string. This happens because bowstrings are made-up of multiple strands and the fibers get dried-out and separate from regular shooting and the elements. To re-apply bowstring wax to an existing string, apply wax to all sides of the string (avoiding the center serving) and use your fingers and rub it up and down 360 degrees of the string, this will heat the wax up so that it is able to soak into the string. Quick Tip: You can use a piece of dental floss to spread the wax by wrapping the floss around the string once, holding both ends and dragging it up and down. Note: It has been my understanding that using leather is another option however this must be done very carefully as it can also damage the string. For those of you who choose to make your own strings, you will need to apply bowstring wax several times before shooting the bow the first time. 3 parts bees wax and 1 part toilet bowl wax ring. Proper maintenance will help keep your string in tip-top shape and tournament ready and help make a string last several years. However there are times when you should replace your string and in the next blog we will discuss string replacement.